Nagpur fetish for ‘Tarri-Poha’ knows no bounds! And it surely won’t be an exaggeration to claim that the yummiest poha’s served by Nagpur pohawalas. It’s hard to decipher whether demand is driving the quality of supply or vice-versa. Nation Next introduces you to the most popular pohawalas in Nagpur. Things to know: This joint was started by Lalit Tumdam in 1994, when he was 12 years old. Lalit mainly manages the joint but his family, which comprises more than 20 members, also help him. Lalit’s 23-year-old nephew, Lokesh, who’s pursuing M.Com from Ambedkar College, Nagpur, can also be seen assisting his uncle here. More than 300 plates of poha are sold every day at this joint. The curry served by Lalit consists of more than 15 spices carefully added by him. Things to know: There are two poha joints at Shankar Nagar. One of them has his stall at the beginning of Cement Road, and the other one stands beside the Titan showroom. Both the joints are extremely popular but the one at the Cement Road has been drawing the poha lovers for years. Joggers and students throng this joint in the early morning for tea and a delicious plate of poha. Poha, at this joint, is served along with onions, lemon and thick spicy curry. One can also have jalebi in the winters here. Things to know: Don’t be late if you want to savour the poha made by Keshav Mankar. In just one and half hours in the morning, Keshav’s cartful of poha is sold out, after which many customers have to return empty handed. The poha made by Keshav has a homely taste to it. Don’t make the curry too spicy, add Kabuli Chana (white chickpeas) to it and add less water while cooking poha – That’s Keshav’s guide to a perfect plate of poha! Things to know: Chandu used to operate from Ramdaspeth, until two years back along with his brothers Rupesh and Raja. While his brothers continue to operate from Ramdaspeth, Chandu has moved to IT Park area catering to ‘good business’ here due to an influx of the young professionals in the area. Irrespective of the quality, which is quite mediocre, customers still throng Chandu’s kiosk. Chandu serves ‘Ánda Poha’ (mixture of poha and egg bhurji), which, Rupesh claims, is a dish Chandu accidentally made while trying to do something new and voila, it worked! Things to know: A little spice alert, if you plan to have poha and curry at this joint! The curry is super spicy here and is a treat for those who like it extra spicy. Situated just besides the famous Agrasen hostel, this joint by Sunita Thakre aka ‘Áunty’ is very popular among students. Things to know: In a short span of just eight years, this joint has become extremely popular and in contrast to other pohawalas, where students are seen in abundance, here families are seen at large. The owner, Rajkumar Mangru Saroj is basically from Uttar Pradesh, but has been in Nagpur for 17 years now. As the name suggest, the curry served here is on the lines of Nagpur’s famous saoji cuisine. Things to know: Laxminarayan Pande, the head of Pande family, is a graduate from GS College. 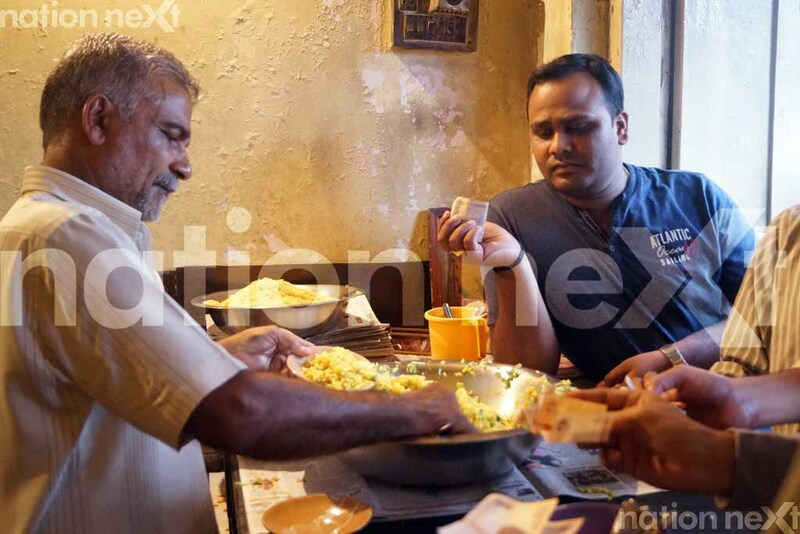 He, along with his four sons, wakes up every day at 2:30 am for preparing poha and curry. Among his four sons, two sons – Ramji and Shyamji – are twins and are very popular among customers. The curry available with poha at this joint has khada Masala, kala chana and big pieces of tomato in it.